Brown is a very unusual color for a marble making this a more appealing choice for it’s rarity. This mantel surround speaks for itself. The Bella Vista is a French design with inspiration details from Italy. Low price and on sale. Call for details on this particular piece. 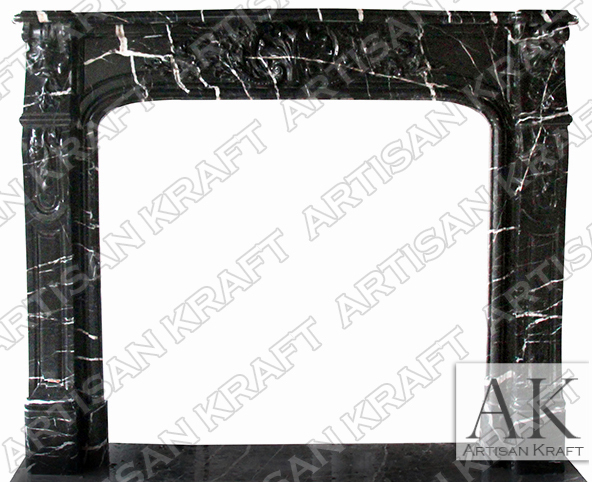 Fireplace pictured in Portoro Brown Marble. Available for delivery in 1-3 weeks. Stone: Limestone, travertine, sandstone, marble.